Legend of Zelda Garters by Creative Garters Review | The Arcade Archives! So I found these most epic garters and had to review them since I know several geeky girls that are getting married! Creative Garters has you covered no matter what your fandom is. 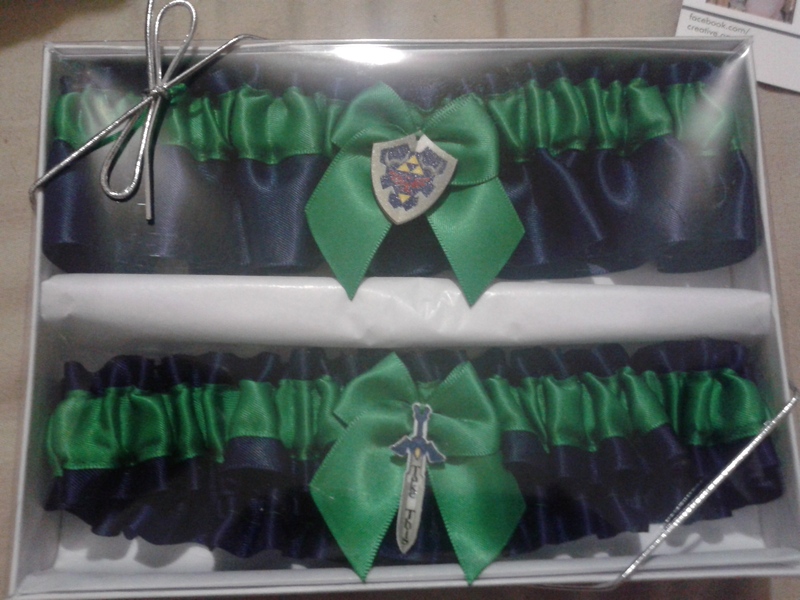 These garters are fantastic; as you can see the ones I reviewed are Legend of Zelda ones. 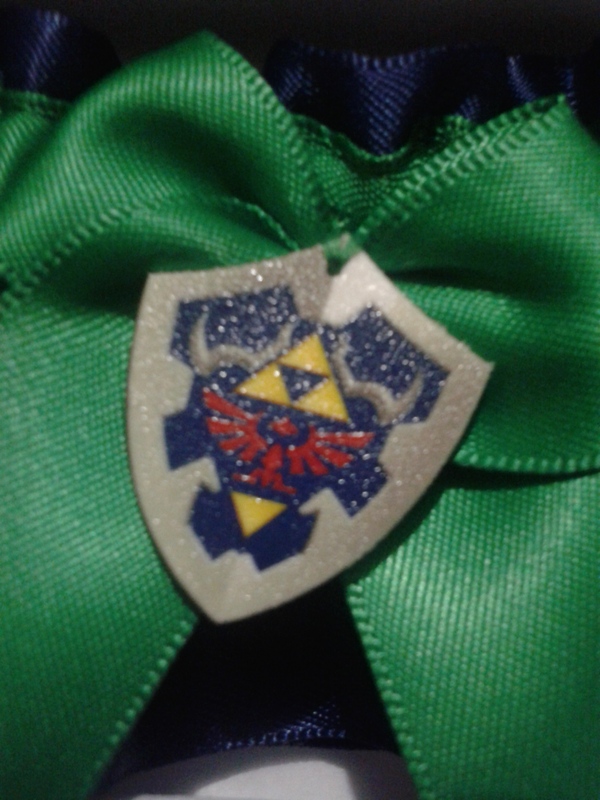 They are satin with a Zelda charm. 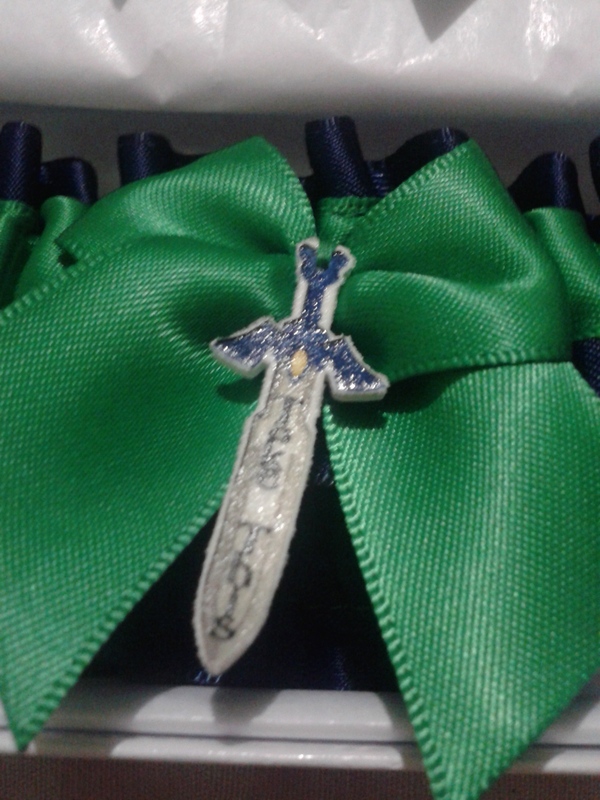 I love the shield and sword charms. The garters are also very well made. I love that they fit even girls with bigger legs. I know mine are 23 inches at the biggest part of my thigh. I love the detail in the charm there is no mistaking what these garters are designed after. 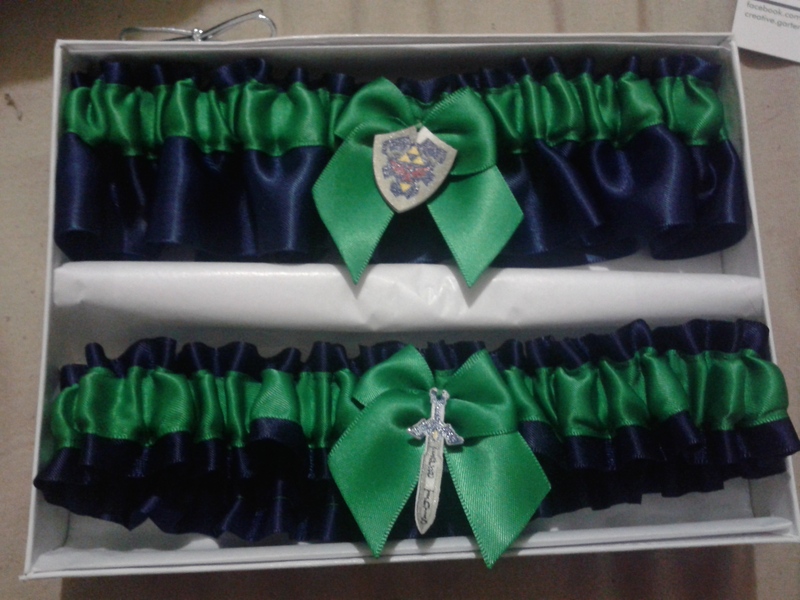 If I ever get married these will be the garters I wear for sure or I will get another set from Creative Garters!! Lets just say that Zelda isn’t your thing! Not a problem there are so many options to choice from such as military, sports, and so much more. You can also make custom orders!! This is the perfect thing for geek girls weddings but they are also great additions to cosplay outfits!! This entry was posted in Archive Entries and tagged Cosplay, garters, geeky girls, legend of zeld, Legend of Zelda, weddings, Zelda by ravenheather. Bookmark the permalink.